I am honoured to be taking over as President of the Academy of Medical Educators this year. I want to take this opportunity to express my gratitude and admiration to all our previous Presidents of the Academy, Professors John Bligh, Sean Hilton and Derek Gallen for their leadership overthe last ten years. Their unswerving belief that the Academy has a uniquely important role in healthcare and veteri­nary education has led us to where we are today. Our Professional Standards for Medical Educators are recognised by the General Medical Council, we have a growing active membership and an authoritative voice in medical, dental and veterinary education. A special thank you to Derek for his encouragement and support in the run up to my Presidency and I hope I can carry on his sterling work. I am delighted to be the first woman to be elected as President of the Academy; it reflects the balance of our Council and the diversity of our membership. Our Council has agreed to establish a group to review our commitment to equality, diversity and inclusivity, ensuring that our decisions are fully informed and represent the wider membership. The Academy aspires to be inclusive and welcomes initiatives from the many talented individuals involved in healthcare education; if you have an idea to improve healthcare educa­tion or if you want to get involved by joining Council or in any other way, please do not hesitate to get in touch with us. My clinical background is general practice; my own training was outstanding, encouraging me to strive to improve education and training through leadership in medical education. Twenty years ago, I was the first general practitioner in England to be appointed as a Postgraduate Dean and I am proud that my team in the North West has led significant innovation in postgraduate medical education continually improving standards for training. I have been fortunate to be at the forefront of many national develop­ments in medical education through national committees and working groups and as a longstanding member of the Council of the Royal College of General Practitioners. I am an education associate for the General Medical Council, a Council Member of the Faculty of Medical Leadership and Management and hold honorary professorships at Lancaster and Manchester Universities. 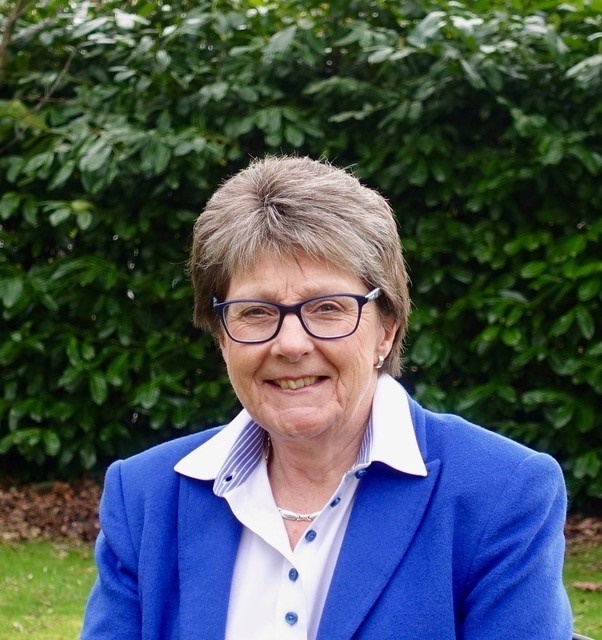 I retired as the Postgraduate Dean in September 2016, continuing my work for the GMC, joining the Medical Practitioner Tribunal Service Committee and the Board of Plymouth Hospitals NHS Trust, as a Non-Executive Board Member. I look forward to meeting and working with many Members and Fellows over the course of my presidency. Thank you for visiting our website, which is open to all. The AoME was established in 2006. We are a registered charity, and our charitable aims are to improve patient care by providing leadership, promoting standards and supporting all those involved in the broad discipline of medical education, through all stages of a career. We are a multi-professional organisation of medical, dental and veterinary educators. Our members include doctors, students, dentists, vets, nurses, educational managers, pharmacists, researchers and social and biomedical scientists, and other professionals. If you spend part or all of your working life involved in the education of student and trainee doctors, dentists and veterinary surgeons the AoME has relevance to you, and we are keen to grow as large and representative a membership as possible. More senior educators can apply for admission to Fellowship. See our membership page for details regarding application. We are committed to engaging more with patient and public views on medical education, and to exploring the ways in which we can do so to develop truly patient centred education. Why are we relevant and what do we do? We are a standards organisation that works to define and enhance standards for medical education, thereby improving clinical care for patient benefit. Our professional standards, first published in 2009, and updated in 2014, set out the core values for medical educators and the five domains of the discipline. They have been widely praised and adopted, nationally and internationally. The GMC, in publishing its proposals for Recognition of Trainers in Secondary Care has proposed the seven areas contained in the AoME’s earlier report on developing standards for Educational Supervisors. The seven areas map directly on to the Academy’s Professional Standards, and provide an entry level achievement for membership of the Academy. Thereafter, using the levels described within our standards, and the support offered by AoME and others we can offer a career progression pathway through full Membership towards Fellowship. Click here for more information about our Professional Recognition Scheme. We aim to provide advice, support and scholarly opportunities for our membership, and to engage with patients and the public to involve them. By contributing to career development, structure and pathways for all involved in medical education we will address our charitable aim of enhancing patient care through teaching and educational excellence . We have three broad areas of activity: professional standards; membership and professional recognition, and education. Through the Professional Standards Committee, the Academy looks to further development of our Professional Standards in specific areas such as the GMC standards for clinical trainers and in revalidation for educators. In addition to being used to set benchmarks for Membership and Fellowship of the Academy they are attracting interest from course providers nationally and internationally. Our Membership Committee is developing routes for membership qualification, and also mutual recognition schemes with other organisations. Significant work has been done on accreditation routes for membership, and on developing links with other organisations as part of our corporate partnership scheme. Our Education Committee takes responsibility for our annual conference and occasional educational meetings, and our communications for members and non-members. Within this area we also have an active Early Careers Group. I hope you will enjoy browsing this site. Please read our Professional Standards and, if you are not a member, consider joining the AoME.